Smith, H. Allen. Low Man on the Totem Pole. Photo available. Garden City. Doubleday and Co. 1945. 205 pps. Octavo. Hardcover. Reprint. Fine copy in edge chipped dust jacket (in mylar). Smith, H. Allen. Low Man on the Totem Pole. Garden City. Doubleday and Co. 1944. 205 pps. Octavo. Hardcover. Reprint. Fine copy. Smith, H. Allen. Low Man Rides Again. Garden City. Doubleday and Co. 1973. 278 pps. Octavo. Hardcover. First edition. Fine copy in near fine dust jacket (in mylar). Smith, Harold and Alma. The Wise Man Stories. Inscribed by the authors. Friends Anonymous. Marina del Rey. Devorss. 1979. Octavo. Soft cover. First edition. Inscribed by the author. Fine copy. Smith, Harold. I Want to Quit Winners (gambling). Englewood Cliffs. Prentice Hall. 1961. 336 pps. Octavo. Hardcover. Fourth printing. Illustrated. Fine copy (small owner inscription on end paper) in fine dust jacket (in mylar). Smith, Harold. I Want to Quit Winners (gambling). Englewood Cliffs. Prentice Hall. 1967. 336 pps. Octavo. Hardcover. Reprint. Illustrated. Fine copy in near fine (light shelf wear) dust jacket (in mylar). Smith, Harold. I Want to Quit Winners (gambling). Englewood Cliffs. Prentice Hall. 1961. 336 pps. Octavo. Hardcover. Second edition. Illustrated. Inscribed by the author. Fine copy in near fine (light shelf wear) dust jacket (in mylar). Smith, Harold. 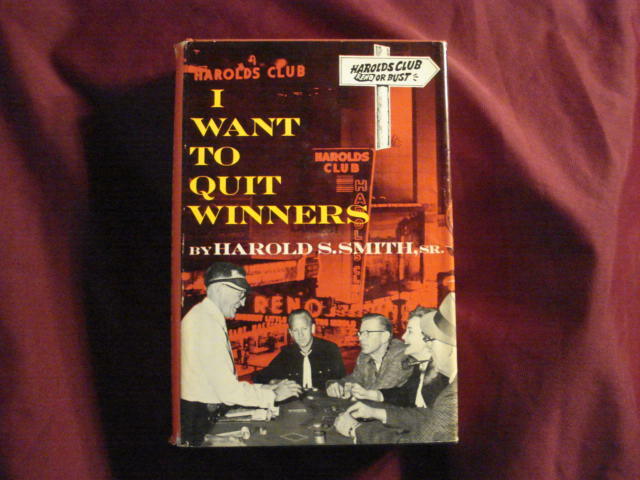 I Want to Quit Winners (gambling). Inscribed by the author. Photo available. Englewood Cliffs. Prentice Hall. 1961. 336 pps. Octavo. Hardcover. Second edition. Illustrated. Inscribed by the author. Fine copy in near fine (very light shelf wear) dust jacket (in mylar). Smith, Hedrick. The New Russians. New York. Random House. 1990. 620 pps. Octavo. Hardcover. First edition. Fine copy in fine dust jacket (in mylar). Smith, J. Eugene. One Hundred Years of Hartford's Courant. From Colonial Times through the Civil War. np. Archon. 1970. Octavo. Hard cover. Reprint. Fine copy in fine dust jacket (in mylar). Smith, Jack. Cats, Dogs, and Other Strangers at My Door. Photo available. New York. Franklin Watts. 1984. Octavo. Hard cover. First edition. Fine copy in fine dust jacket (in mylar). Smith, Jane S & Michael J. Goc. Ashland. The Garland City of of The Inland Seas. Looking Backward. Moving Forward. Wisconsin. Photo available. Friendship. New Past Press. 1987. 168 pps. 4to. Hardcover. First edition. Illustrated. Important reference work. Fine (owner inscription on end paper) copy in fine dust jacket (in mylar). Smith, Jeff. Bone. The Great Cow Race. New York. Scholastic. 2005. Octavo. Soft cover. Illustrated. Fine copy. Smith, Jo (ed). Las Vegas Celebrity Cookbook. Volume I. The Private Recipes of 50 International Entertaines. Las Vegas. Creel. 1982. 4to. Hard cover. First edition. Illustrated. Fine copy in very good (light shelf wear) dust jacket (in mylar). Smith, Jo Durden. 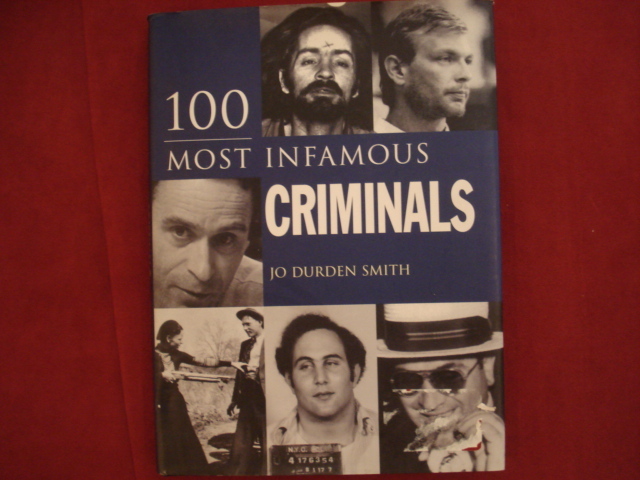 100 Most Infamous Criminals. Photo available. New York. Metro. 2007. Octavo. Hard cover. Illustrated. Fine copy in fine dust jacket (in mylar). Smith, Jonathan Kennon Thompson. Historic Benton. A People's History of Benton County, Tenn. Memphis. Richard H. Harris. 1975. 4to. Soft cover. First edition. Illustrated. Fine copy. Smith, Joseph F. Teachings of Presidents of the Church. Salt Lake City. Church of Jesus Christ of Latter-day Saints. 1998. Octavo. Soft cover. First edition thus. Fine copy. Smith, Joseph, Dean Jesse, Ronald Esplin (eds). 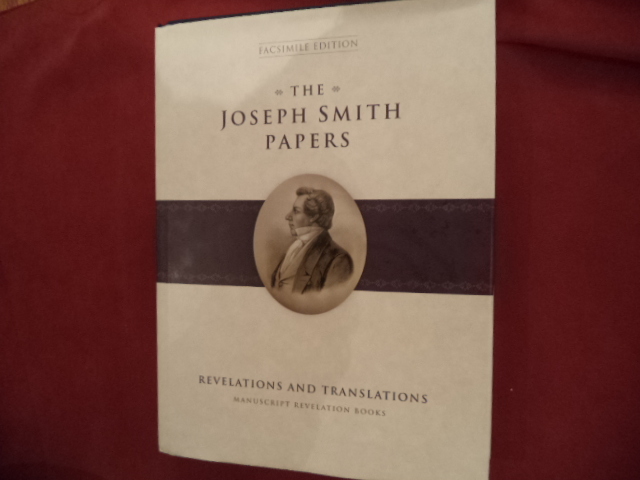 The Joseph Smith Papers. Facsimile edition. Revelations and Translations. Manuscript Revelation Books. Photo available. Salt Lake City. The Church Historian's Press. 2009. 708 pps. 4to. Gilt decorated hard cover. First edition (number line starts with "2". Illustrated in black, white and color. Important reference work. Fine copy in fine dust jacket (in mylar). Smith, Joseph. Joseph Smith's Own Story (Mormon). Photo available. Salt Lake City. Deseret. nd. 26 pps. Octavo. Soft cover. First edition. Illustrated. Fine copy. Smith, Kathy Mays. 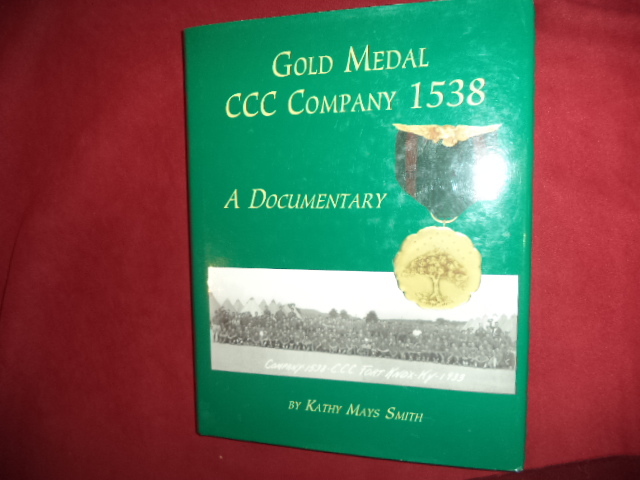 Gold Medal CCC Company 1538. A Documentary. Inscribed by the author. Photo available. Paducah. Turner Publishing. 2001. 288 pps. 4to. Hardcover. First edition. Illustrated. Important reference work. Full page inscription by the author "To Our Soldiers in Iraq... ". Fine copy in fine dust jacket (in mylar). Smith, L. Vernon. The Assassination of The Devil's Garden. Southfield. Smith & Shah. 2002. 268 pps. Octavo. Soft cover. First edition thus. Fine copy. Smith, Lucy Mack. History of Joseph Smith, By His Mother (Mormon). Photo available. Salt Lake City. Bookcraft. 1958. 355 pps. Octavo. Hardcover. First edition. Important reference work. Fine (owner name on end paper) copy in near fine (light fading, edge wear) dust jacket (in mylar). Smith, Patricia R. Madame Alexander Collector's Dolls. Paducah. Collector Books. 1978. 4to. Hard cover. First edition. Illustrated in black, white and color. Fine copy in fine dust jacket (in mylar). Smith, Patricia R. Price Guide for Madame Alexander Collector's Dolls. No. 13. Paducah. Collector Books. 1987. 4to. Soft cover. First edition. Illustrated. Fine copy. Smith, Patricia. Patricia Smith's Doll Values. Antique to Modern. Paducah. Collector Books. 1992. 317 pps. Octavo. Soft cover. Eighth edition. Illustrated in color and black & white. Near fine copy (very light shelf wear).